Political Torture in Popular Culture argues that the literary, filmic, and popular cultural representation of political torture has been one of the defining dimensions of the torture debate that has taken place in the course of the post-9/11 global war on terrorism. The book argues that cultural representations provide a vital arena in which political meaning is generated, negotiated, and contested. Adams explores whether liberal democracies can ever legitimately perpetrate torture, contrasting assertions that torture can function as a legitimate counterterrorism measure with human rights-based arguments that torture is never morally permissible. He examines the philosophical foundations of pro- and anti-torture positions, looking at their manifestations in a range of literary, filmic and popular cultural texts, and assesses the material effects of these representations. Literary novels, televisual texts, films, and critical theoretical discourse are all covered, focusing on the ways that aesthetic and textual strategies are mobilised to create specific political effects. This book is the first sustained analysis of the torture debate and the role that cultural narratives and representations play within it. It will be of great use to scholars interested in the emerging canon of post-9/11 cultural texts about torture, as well as scholars and students working in politics, history, geography, human rights, international relations, and terrorism studies, literary studies, cultural studies, and film studies. 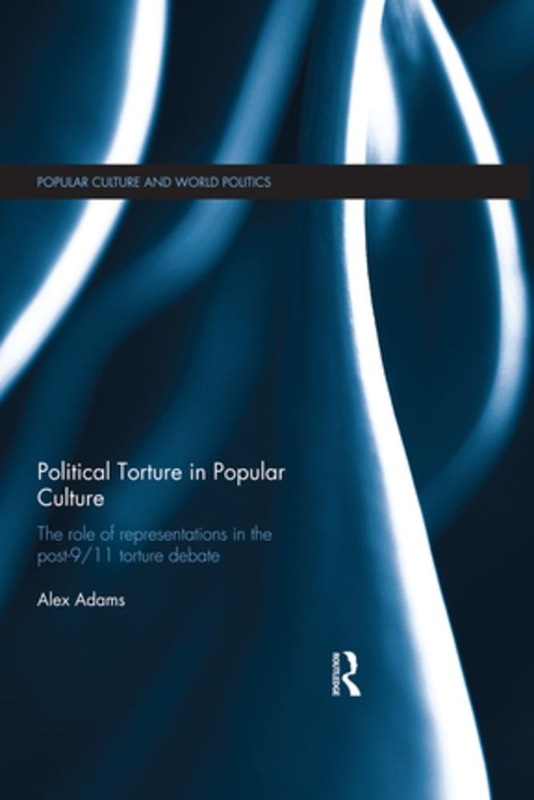 Acquista Political Torture in Popular Culture in Epub: dopo aver letto l’ebook Political Torture in Popular Culture di Alex Adams ti invitiamo a lasciarci una Recensione qui sotto: sarà utile agli utenti che non abbiano ancora letto questo libro e che vogliano avere delle opinioni altrui. L’opinione su di un libro è molto soggettiva e per questo leggere eventuali recensioni negative non ci dovrà frenare dall’acquisto, anzi dovrà spingerci ad acquistare il libro in fretta per poter dire la nostra ed eventualmente smentire quanto commentato da altri, contribuendo ad arricchire più possibile i commenti e dare sempre più spunti di confronto al pubblico online.